Most of those who live in the cul-de-sac are friends of convenience. Besides the old man who declares he sees a man on a neighbor’s house at night, they do things together. Their kids (all but one family has them) attend school and hang out together, the women all shop together, and several families have keys to each other’s houses. But then a body is found hanging over the street outside their houses. He was a teenager, and while all the families claim not to have much to do with him, they all end up having potential ties with the victim. In ‘The Man on the Roof’ by Michael Stephenson, we get glimpses of the secrets the neighbors know about each other, and the secrets they are trying to hide. What we don’t know is who is the killer? And will someone else end up dead? I really enjoyed this book. The narration varied with each chapter, but I never knew who was talking about whose secrets. The chapters were just identified with their suspect numbers. While I wondered about each of the suspects, I was never convinced enough to guess who was the real killer, as opposed to it being someone else. It also made me wonder about my own neighbors’ secrets. I'd give this book 4.5 out of 5 stars. It is a wonderful and intriguing summer read for any adult who loves suspense and mystery. Some of the secrets are definitely of an adult nature, so this isn’t to be confused with an entertaining young adult read. If you’re a grown-up who doesn’t mind reading about things that some people may prefer kept quiet, this book will hold your interest while you guess who the killer may be. You'll be surprised when you finally get to who and why. 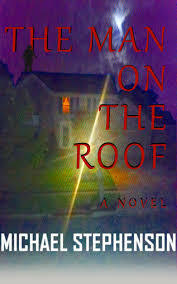 The Man on the Roof is available for pre-order on Amazon now, and would be delivered to your Kindle on June 22, 2018. I recieved an electronic copy of this book in exchange for my honest review. Sounds really interesting. Would love to grab a copy of this book for some weekend readings. Hm, sounds like an interesting book, but I don't do well with too much narrating. I find it confusing. One of these days I will catch up on my to-read pile of books. This sounds intriguing! I like mystery stories usually. I haven't heard of this author so will have to check him out.